(From left) Tim Waters, Kain Colter and Ramogi Huma, were led the Northwestern unionization movement, which ended with the NLRB's decision Monday. The National Labor Relations Board on Monday unanimously decided not to rule in the Northwestern union case, ending the 18-month long movement for NU football players to unionize. The board did not actively overturn the March 2014 ruling from the NLRB’s Chicago regional director that the players were NU employees but declined jurisdiction, citing the impact an NU union would have on the NCAA as a whole. Because the Wildcats’ players are no longer legally employees, the votes cast during their union election last April will not be counted. The decision cannot be appealed. Disappointed by the NLRB ruling. But can't deny the positive changes that were brought about by athletes standing up. Proud of those guys. If the prior ruling had been upheld, the NU players would have formed a union as the College Athlete Players Association. CAPA president Ramogi Huma said in a statement that Monday’s decision was “not a loss, but it is a loss of time,” pointing out that the board did not close the door on the union as a mechanism for change in college sports. “It delays players securing the leverage they need to protect themselves from traumatic brain injury, sports-related medical expenses, and other gaps in protections,” Huma said in a statement. Waters said he was disappointed in the NLRB’s ruling, which came more than a year after the regional director’s initial decision. 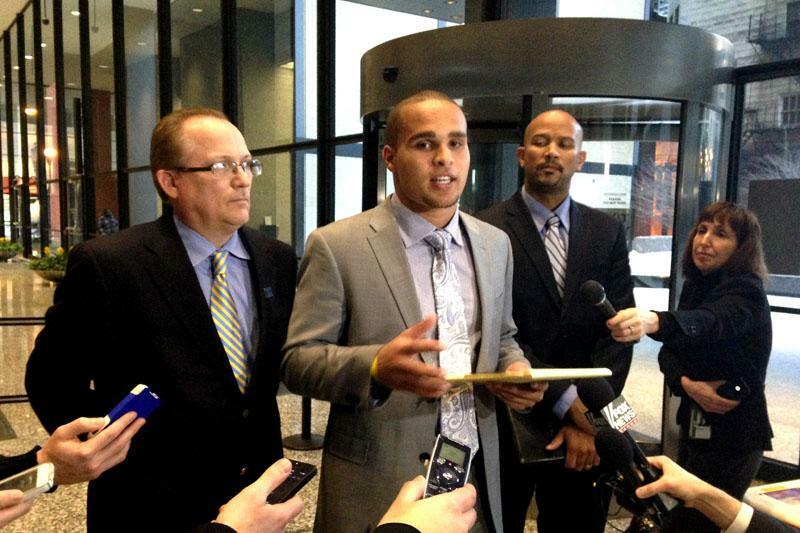 In a statement, NU spokesman Al Cubbage said the University was “pleased” with the ruling. NU football coach Pat Fitzgerald, who has been critical of the union movement in the past, praised the players for their maturity. Athletic director Jim Phillips, who is also chairman of the NCAA Division I Council, said in a statement the University will continue to prioritize player well-being. The union movement began in January 2014, when former quarterback Kain Colter and college athletes’ rights activist Ramogi Huma announced the players’ desire to form the College Athletes Players Association. CAPA’s stated goals included improving health coverage for players, securing guaranteed scholarships and receiving compensation for the full cost of college attendance. After six days of hearings the next month, the NLRB’s Chicago office decided in favor of CAPA, ruling on March 26, 2014 that the players are NU employees. The University filed an appeal to the NLRB’s national office on April 9, which prompted Monday’s decision. The board in its ruling made clear that “This decision is narrowly focused to apply only to the players in this case and does not preclude reconsideration of this issue in the future,” leaving the door open for another school — or potentially even NU again — to pursue unionization. Waters said United Steelworkers will “without question” participate in similar cases relating to college sports in the future. “The Northwestern players weren’t the only players out there looking to organize,” Waters said. This post was updated with new information Monday at 11:59 a.m., 12:49 p.m. and 1:53 p.m.